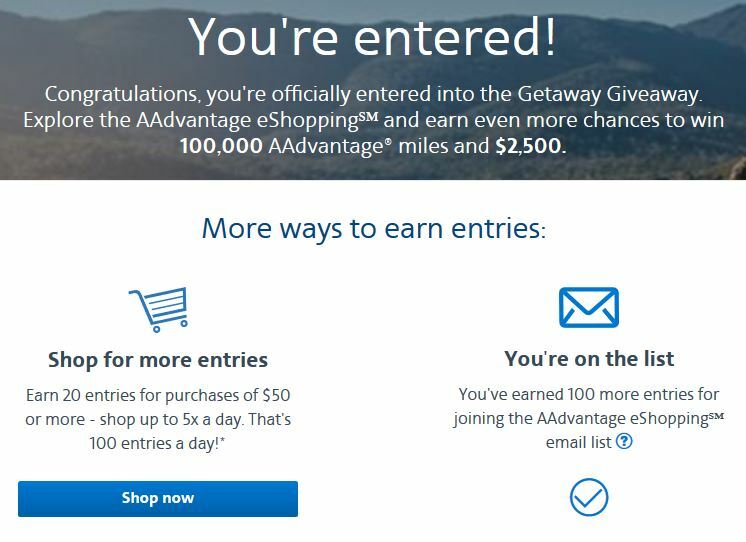 Three different airlines are offering a chance at 100,000 miles + $2500 cash when you register through their shopping portals. If you choose to do additional shopping through these portals you can earn more entries into the contest. 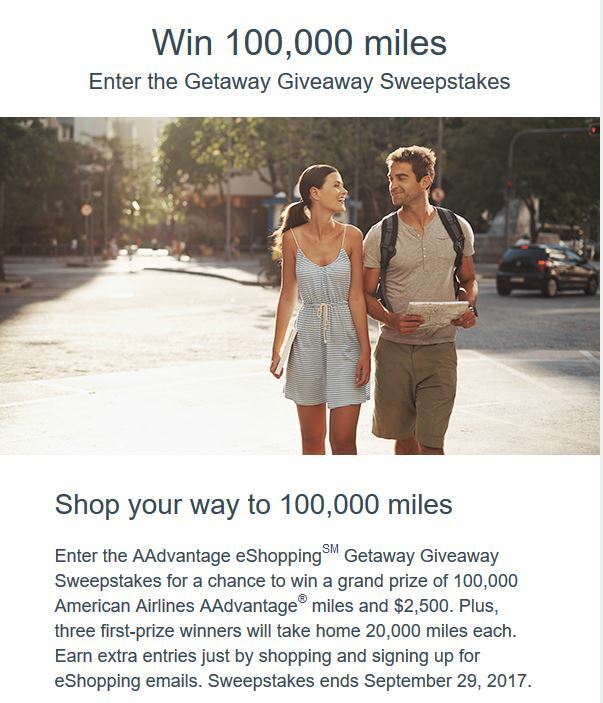 American Airlines will give away 100,000 miles + $2500 to one winner. Three first prize winners will each receive 20,000 AA miles. No purchase is necessary and you must enter by September 29, 2017. You can earn 100 additional entries by signing up for the AA eShopping email list. 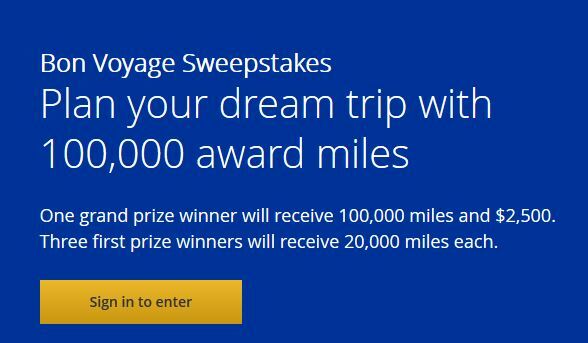 United is offering a similar promotion with their Bon Voyage Sweepstakes. One winner gets 100,000 UA miles + $2500 cash and three first prize winners get 20,000 miles apiece. To enter follow this link and sign into MileagePlus Shopping using your UA frequent flyer number and password. Once you do you should get a page indicating you’ve successfully registered for the promotion. Not to be left out, Alaska Airlines is also offering 100K miles + $2500 to the grand prize winner and 3 first place winners get 20K miles apiece. To enter, just log in to the Mileage Plan shopping website and you’ll be signed up! For all of these contests you can earn additional entries by using their shopping portals. Just check each site for details.